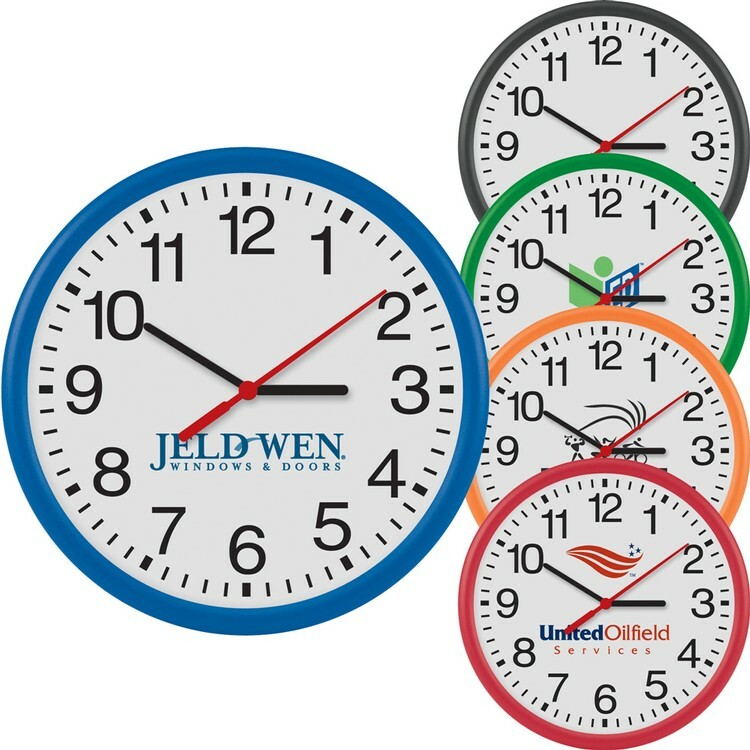 12" plastic wall clock with quartz analog movement; provide billboard-like brand exposer 24/7! Color plastic frame; slim width for easy hangingl Uses 1 AA battery (included). 1/2" W × 11-7/8" Dia.